Behind every idea such as the Hartland Area Project is a personality. In this case it was Mr. J. Robert Crouse, Sr. who was born in the village of Hartland. As a small boy he moved to Cleveland, Ohio, with his parents. Later he graduated from the University of Michigan. His fortune was made through a successful business partnership, in the electrical and lighting industry, with his father, Mr. J.B. Crouse, and uncle, Mr. H.A. Tremaine. After retiring from active business in 1928, Mr. Crouse felt he wanted to do something of value for his native community. He gathered together educators and sociologists, and the Hartland Area Project was conceived. 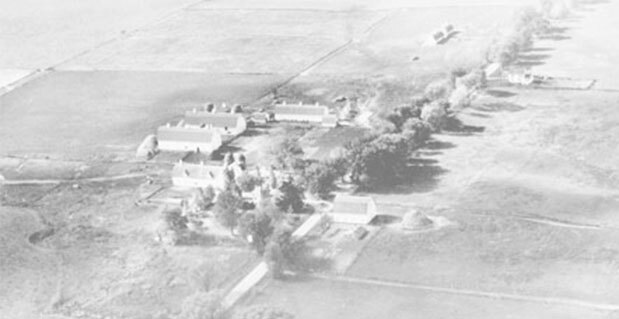 "The Hartland Area Project is an effort to lay out a district in a typical rural community with a village center, containing an ultimate school population of about 1,000 children in all grades and a total population of about 4,000, and to make available to this group, with generous adequacy, all the creative and constructive social and educational influences, to the end of more rapidly and effectively evolving a richer and more abundant individual and community life. It would be comparable in the social field to intensive research and development work carried on by great industries for material progress, in contrast with social progress, and as such will always be planning and experimenting on the frontiers of social organization and progress." Crouse felt that the Project, "will very likely be in advance of public opinion and will be beyond the willingness or ability of the community to undertake on the basis of taxes". Therefore, to coordinate his Project, Crouse created three foundations: the Hartland School Foundation, The Heartland Foundation and the Hartland Area Educational Loan Fund. In 1932, he noted that there was $500,000.00 available to fund them. The money would be used to seed activities of the Project. When an activity had gained public acceptance and success, supporting funds from the foundations would be gradually withdrawn. Among the many departments set up by the Planning Committee of the Hartland Area Project was that of Health, Education and Welfare. This was headed by Marguerite, the wife of John Robert Bernard Crouse Jr. This department had as its chief objective: the decrease of sickness and contagious diseases, the creation of good will throughout the area through sharing with one another where there was need, and the restoration of the less fortunate families to self-sufficiency. Its recreation department aimed to help build character by providing enjoyable activities that would make leisure time an asset. 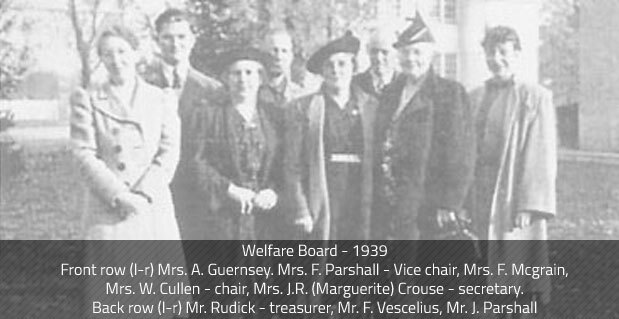 A Welfare Board was created. Each fall they began their campaign with a potluck dinner and plans were made for the year. These annual gatherings lasted for more than 25 years. Much of the Board’s work was administered through donations and volunteer committees. Other accomplishments of the Welfare Board were administering preventative immunizations for children and a detailed study of proper lighting in the home. The study was performed in 1941 in cooperation with Detroit Edison. A cotton mattress program was launched in the county and residents in rural Hartland participated in the spring of 1941. Hartland residents decided in 1937 that they needed a recreation center for the youth and adults of the community. The Welfare Board and the Hartland Area Advisory Board agreed to launch a campaign to provide local recreational facilities. When the period of greatest welfare need was over the group joined under the umbrella of the Community Chest in 1953. This was done to combine groups associated with soliciting donations into a single campaign. These drives continued until replaced by a single United Way organization for the entire county in 1977. At a community picnic on August 22, 1935, J. Robert Crouse, Sr. suggested forming a Community Council in Hartland. “Such a council would consist in general of those who are actively connected with various organizations. The function of the Community Council would be to meet when there are important matters of community policy to consider. Such a Community Council could not and would not wish to bind any organization to a specific course of action but rather supply a many sided judgment on such subjects for useful, helpful guidance and formation of enlightened public opinion. Such a Community Council could represent the Hartland Consolidated Schools to the Hartland Area as a whole depending on the nature of the subject for consideration. It is believed that such an organization would tend toward unity of purpose, plan and action in the development of the Hartland Area Project and the community in general”. From this concept came one of the finest examples of cooperation in the community. After surveying the community for an adequate place for recreation, a plan for a new building was inaugurated. In 1937 the Hartland Area Recreation Cooperative was formed and shares of stock were sold at a price of $10 each. Mr. J. Robert Crouse, Sr. agreed to match the purchase of the shares on a 2 to 1 basis for an amount up to $10, 000. The building of the “Rec” Hall was truly a cooperative effort. A large portion of the excavation and building was done by volunteer labor. The recreation center opened in September 1938. Through the years it was used as a site for basketball games, roller-skating, community parties, Boy Scout meetings and as a cafeteria for hot lunches for Hartland students. In 1975 the Hartland Area Recreation Board of Directors held their last meeting to dissolve the corporation due to declining interest in roller-skating and increased interest in school athletics. The Board voted to give the land, building and equipment to the Hartland Consolidated School for administrative and community use. 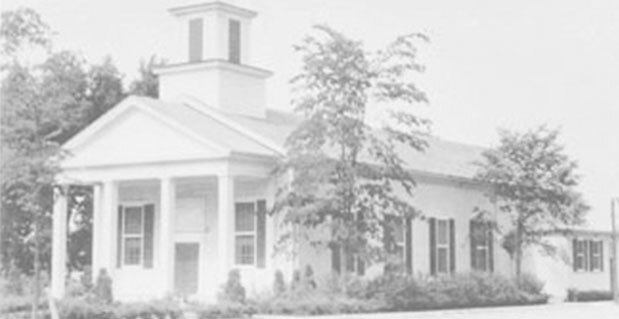 In 1976 the building was remodeled and it became the administrative offices of the Hartland Consolidated Schools and home to the Hartland Senior Citizens’ nutrition and recreation center. The building was renamed the J. Robert Crouse Building in honor of the man who contributed to its original construction. IV. 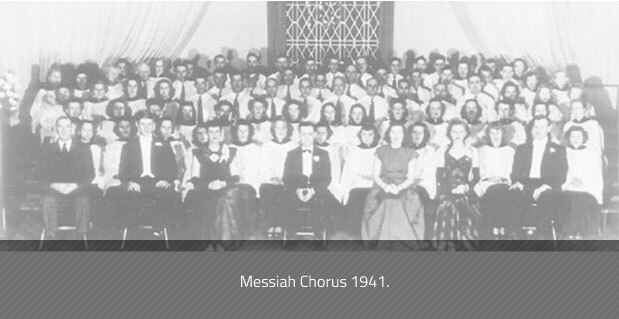 Community Chorus / "The Messiah"
The choir was organized under the direction of Miss Nellie Beatrice Huger who was the first Minister of Music in 1931. Miss Huger had a rich background of experience in church music and radio broadcasting. Upon her arrival in Hartland, Huger launched a broad program of assistance to the local church choirs, the teaching of choral music in the rural and consolidated schools, and eventually organized the combined community chorus for the annual presentation of Handel’s Messiah. Other directors that followed Miss Huger were: Leon V. Metcalf, Lestor McCoy, Winchester Richard, Earl Uphoff, Russell Nelson, Lawrence W. Gray, Dr. Vernon Rife, and David Fockler. The Hartland Area Chorus is now under the direction of Kelli Falls. The rehearsals for the “Messiah” begin each October. Music Exalts Life - was the motto that was chosen for the Ministry of Music of the Hartland Area Project. Music was chosen for the first activity because of its universal appeal to the people of the Hartland Area. The physical center in which all the music and dramatic activities were held was the Hartland Music Hall. Each year at Christmas time the community chorus, church choirs, high school chorus and visiting soloists and musicians joined forces to present Handel’s “Messiah” at the Hartland Music Hall. 2017 marked the 85th performance of the masterly piece of music in Hartland. The program is dedicated as a Living Memorial to the Hartland born philanthropist John Robert Crouse, Sr. (1874 - 1946), founder of the Hartland Area Project. John Robert Crouse, Sr., was born January 1, 1874 in Hartland, Michigan, son of John Bernard and Betsy Westfall Crouse. His early childhood was spent in Hartland. He moved to Cleveland, Ohio with his family, where he graduated from Central High School of Cleveland in 1893. After graduation from the University of Michigan in 1897 he joined his father, J.B. Crouse, and his uncle, H.A. Tremaine, in a harmonious business relationship that continued for two decades. They were then operating the Fostoria Incandescent Lamp Company in Ohio. 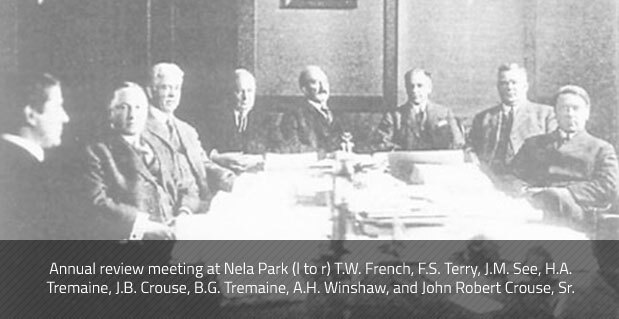 In 1901 they created the National Electric Lamp Association (eventually merging with General Electric) of which Nela Park in Cleveland became the headquarters. Mr. Crouse’s greatest contribution to the electrical industry was his vision of cooperation. He worked hard for this ideal and its ultimate success brought him the title of “The Father of Cooperation” in the electrical world. Returning home to his boyhood roots of Hartland, Mr. Crouse set out to design his vision for a social and educational experiment for the improvement of rural life. 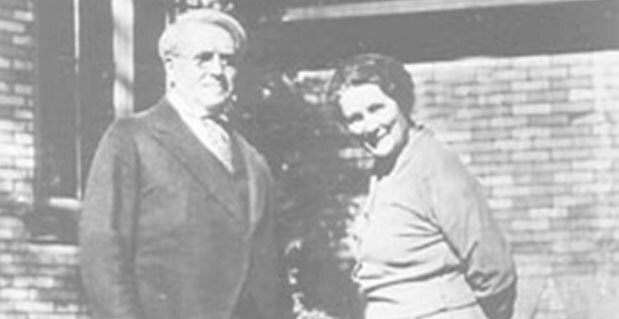 In 1931 Mr. Crouse conceived the plan for the Hartland Area Project. The objective was to bring the privilege of music, drama, handicrafts, library service, health and welfare work to the residents of the rural area surrounding Hartland. “No one could know J. Robert Crouse very long without becoming profoundly impressed with the fact that he was a man of insatiable idealism, a deep dreamer, and a man who was faithful in little things. While it may not have been a matter of chance or pre-destiny, still there is a strange parallel in the fact that his whole life, as an industrialist, an executive and philanthropist was connected with the subject of light. "Were one to begin his biography, he could find no more fitting and appropriate sentences to begin with than those found in the opening chapter of John’s Gospel which read: “There was a man sent from God whose name was John. The same came for witness to bear witness of the Light.” And we, who are here this afternoon, know that this scripture has been fulfilled in our day, for such a man was also, J. Robert Crouse, Sr.” --Rev. G. Bryn Evans, Pastor, Hartland Methodist Church, 1939-1945. Over a period of forty years this scene was remembered by the hundreds of weavers who learned for pleasure or profit in the Cromaine Craft homes in Hartland. In the 1930s and 1940s Hartland was the third largest hand weaving industry in the country. It served 200 retail stores and enticed thousands to travel up Old U.S. 23 to the peaceful rolling landscape where they could purchase hand woven items reflective of a less complex style of life. These items included tea towels and placemats done in custom pattern weave variations of Whig Rose, Orange Peel and Honeysuckle or the elegant Swedish lace adorning blankets, tablecloths and runners. On February 11, 1934, Cromaine Crafts opened in the old mill. Soon, Cromaine looms were being made and the production of weaving and looms grew rapidly. By late 1934, they outgrew the old mill and prepared to move to the 100-year-old tavern on Avon Street. This place would be the home of the weaving industry for the next forty years. The weavers, customers, and visitors who shared the beauty of this craft can direct their gratitude toward the intellect, values and philanthropic efforts of one individual - J. Robert Crouse Sr. and his Hartland Area Project. “A good book is the best of friends,” the slogan of the Hartland Area Project’s Cromaine Library was inscribed on the sign that once stood on the library grounds. The library is one of the few remaining departments of J. Robert Crouse’s dream, known as the Hartland Area Project, which was designed to be a “Friendly Association for Community Service” that would enhance the lives of the residents of the rural Hartland community. The Cromaine (District) Library has served the residents of the Hartland Consolidated School district and surrounding townships since it was built in 1927. It was donated to the schools by J. Robert Crouse Sr. and his uncle, Henry A. Tremaine, as a result of a bequest of $5,000.00 from John B. Crouse, father of J. Robert Crouse, Sr. Tremaine and Crouse added $20,000 to the bequest to erect a library, which was named in honor of its donors. CRO (Crouse) MAINE (Tremaine). The Hartland Schools provided the land on which the library was built. Mr. Crouse provided a nucleus of 1,225 books for the collection. From time to time Mr. Crouse presented the library with autographed letters and pictures of the “great and near-great.” Especially noted were autographs of Queen Victoria, Napoleon, and letters written by Alexander Hamilton and Abraham Lincoln. This collection is currently housed at the Bentley Historical Library at the University of Michigan, for safety and preservation. It is also available online at the library. Many art works and objet d’art were donated to adorn the library interior. The building, a splendid example of early American Federalist architecture, was designed by Professor Emil Lorch, Dean of the College of Architecture at the University of Michigan. Sod was broken at a special ceremony on December 2, 1926. The cornerstone for the building was laid at another ceremony on March 4, 1927. 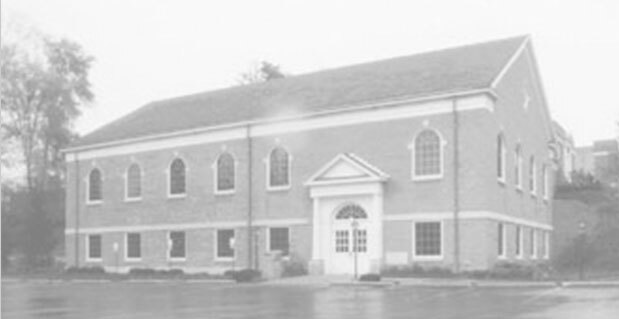 In 1978 the taxpayers of the Hartland Consolidated School District supported a bond issue for the construction of a 9,400 square foot addition. 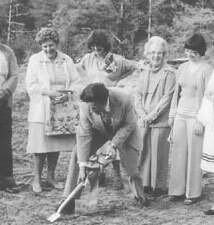 May 17, 1979 was the groundbreaking ceremony and on September 8, 1980 the library proudly opened the doors to its new addition welcoming the community to enjoy the new and remodeled facility. In 1995, the library separated from the school district and became a public district library. An operational millage was passed in 1997 and a newly elected Board of Trustees sworn in July 1998. By 2005, growth in the district outstrapped the existing building comprised of the 1927 and 1980 additions. A 3,400 square foot addition of rented space was created from a retail storefront in the strip mall on the southeast corner of Old US-23 and M-59. The Crossroads Branch of Cromaine opened in September 2005 and served the community on this more-frequented traffic pattern until it was closed April 30th, 2017. While the branch had met all of its goals in circulation and usage, the traffic pattern had moved beginning in 2008 to the east side of the intersection US-23 and M-59 when a new Meijer and new Walmart were opened, along with more commercial development. The branch’s closing was considered wise by some of the community and disappointing by others, but the funds used to rent the space and supply a separated offering of the library’s resources, including human resources, were needed to continue to maintain the legacy building in the Village. 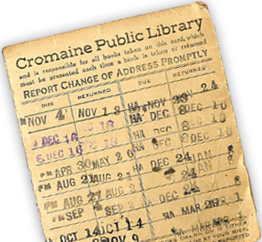 In September 2017, Cromaine Library celebrated its 90th year of service with the grand opening of a 3,800 square foot addition to the east side of the 1980 addition. This new space permitted many of the community’s “wants” to be filled, including offering three study rooms, two smaller meeting rooms, and a beautiful Youth Program Room nestled in the woods on the school’s adjacent property. In 1931, Mr. J. Robert Crouse, Sr. turned his back on an industrial conglomerate which had made him a millionaire and returned to his birthplace - Hartland. He came back to give form to his dream, The Hartland Area Project. To trace the colorful history of the early lighting and electrical industry we need to begin with his father J.B. Crouse and his uncle, H.A. Tremaine into Fostoria. This manufacturing institution was first known as Crouse and Tremaine Carbon Works, then as National Carbon Company and again later as Union Carbide Company. Mr. Crouse and Mr. Tremaine had abundant business connections in Cleveland, Ohio. They later sold their carbon plant and Mr. Crouse was one of the first entrepreneurs to be interested in the use of electricity for he helped form the National Electric Lighting Association. The letters formed the plant name known as “Nela Park” (also referred to as the University of Electricity) in Cleveland, Ohio. They formed other companies such as the Fostoria Incandescent Lamp Company that made light bulbs. One type of bulb was manufactured under the name “Fostoria Mazda” and was made in various sizes. By 1907 they were manufacturing a complete line of electrical incandescent lamps for modern and special use. Just as Crouse and Tremaine sold their carbon firms to a larger entity, their success now called for them to sell their glass operation in Fostoria. In 1910, the trademarks and buildings were assigned to the General Electric Company. In 1911, J. Robert Crouse, Sr. developed an interest in and participated actively in the establishment of co-operative ideas for the promotion of better conditions throughout the electrical industry. The Society for Electrical Development Association was organized and created the slogan “All together, all the time, for everything electrical.” By 1913, after nine years of untiring energy, the Society for Electrical Development had, as its membership, 1,300 firms in all parts of the country. Many honors from various organizations were bestowed upon John Robert Crouse, Sr. for his efforts in the electric lamp industry. Perhaps, the most distinguished award was the James H. McGraw Medal and Purse for Cooperation. It was given to Mr. Crouse in 1926 in recognition of his outstanding contribution to the advancement of cooperation in the electrical industry. When passing through Hartland, one’s interest is drawn to a beautiful white church-like building. A broad walk leads to a colonial entrance over which it reads “Hartland Music Hall.” Here is the physical center where many musical and dramatic activities have been held over the years. The historic Hartland Music Hall was constructed in 1858 to house the First Congregational Church of Hartland. Its original construction cost was $1,800. It was built by members of that congregation using locally developed materials. The church disbanded in 1923 and the building fell into a state of disrepair. 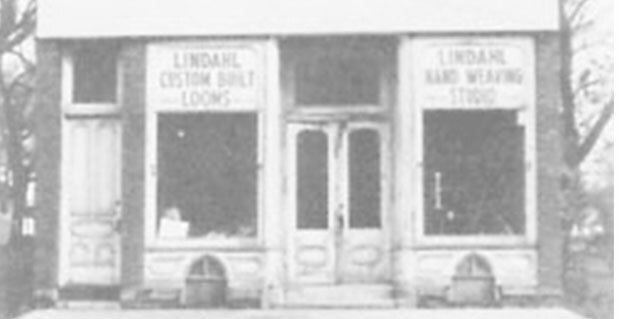 In 1929, Mr. J. Robert Crouse, Sr. purchased the building for $500. He retained the services of Dr. Emil Lorch, Dean of the College of Architecture of the University of Michigan, to plan and supervise the renovation of the hall. This was done in conjunction with the Hartland Area Project which was conceived by Mr. Crouse as a method of bringing fine art to a rural community. A porch was added, and a foundation dug for rehearsal rooms, storage, and a pipe organ. (The organ, a beautiful Kilgen pipe organ, was of great interest to Henry Ford, who wanted to purchase it for his home at Fairlane. Mr. Crouse refused to sell it and the organ still graces the Music Hall today). 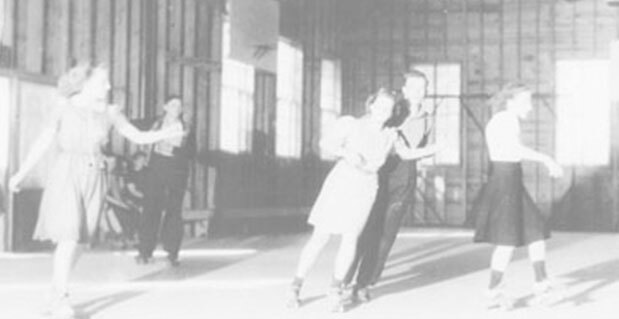 Throughout the 1930s and 1940s, the Music Hall was used by the Hartland Schools and the community as a whole and gained a national reputation as a center for music and music education. The building, an early Greek Revival, was one of several in Livingston County honored with the stamping of a limited-edition pewter plate during the nation’s bicentennial celebration. In 1979, the building was declared an official historic site by the Michigan Historical Commission. 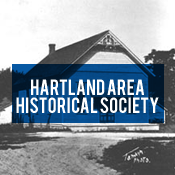 Today the Music Hall is used extensively for the Hartland Players’ and Encore Youth Theater’s rehearsals and performances, special events sponsored by Hartland Community Education, and the annual singing of Handel's “Messiah” by the Hartland Area Community Chorus every December. It is also available for rental for recitals, graduation ceremonies, and weddings. 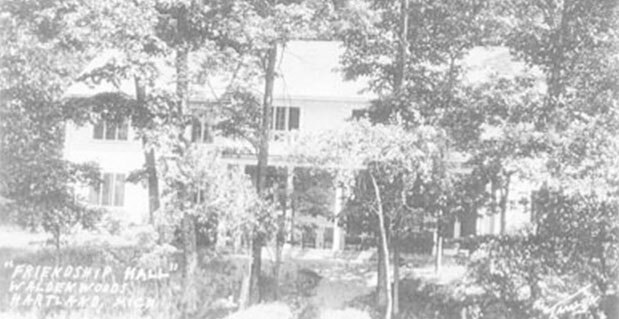 The Crouse Farm, which includes Waldenwoods, has been the Crouse family home since it was acquired from the Government in 1844. Six generations of the family are above and below the soil of Hartland. J. B. Crouse and his associates, H.A. Tremaine, F.S. Terry, B. G. Tremaine and J. Robert Crouse, Sr., founded a number of businesses, including Nela Park and General Electric Company (Mazda Lamps) Cleveland, Ohio. Their business philosophy has been cast in the bronze tablet set in the large boulder in front of Cromaine Hall. Another memorial to their association is a bronze tablet mounted on the outside face of the stone chimney at Sunshine Hall. The Waldenwoods buildings were built in 1924 and 1925 and were used for business conferences for the above-named groups for years. Eventually the complex hosted conferences for the Michigan Dairy Association, Michigan League of Handweavers, Detroit Edison, Mobil Oil Company, and a variety of educational, health, recreational, religious, and civic groups. Waldenwoods is so named as a special tribute to Henry David Thoreau, the New England naturalist whose writings so deeply impressed J. Robert Crouse, Sr. Since agriculture was the primary industry of the area, Mr. Crouse established another department in the Hartland Area Project for agricultural projects. A fifteen-hundred-acre farm, property of the Crouse family since 1844, was donated to the raising of pure-bred stock and certified seed. Although the farm operated on a commercial basis, it proved to be of educational value to the schools and farmers of the community. Some of the projects in operation in October 1931 were the following: the high school students would learn biology, farm crops, horticulture, animal husbandry, and soils, farm management and agricultural economics. Also, projects in poultry raising, dairy husbandry, and crop production, as well as operation of a poultry house by the schools. Local farmers could request specific aid through the Hartland Area Project on subjects such as milk and cream testing, soil testing, seed germination tests, poultry culling, grafting, budding and spray information, and information on methods for culture of specific crops. Aid was volunteered to farmers who were hesitant to ask for help or who overlooked things of importance in their agricultural work. In 1940 a five-year plan was created with specific objectives, plans, administrative costs and reports. Local agricultural committees were developed to collaborate with Michigan State University for the improvement and advancement in methods of plant culture, animal growth and management, and the raising of superior products. The aim was to achieve such quality in agricultural products that markets would identify the trade name Hartland Area. 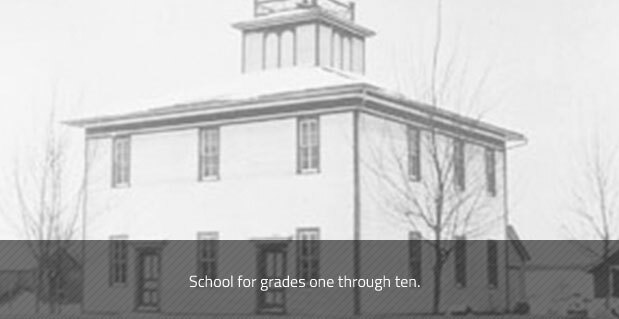 Prior to 1921 the area that now makes up the Hartland Consolidated School District was composed of 15 one room school houses called Primary Districts. These one room schools only went to the eighth grade. The Primary Districts all had their own school boards. Students who wished to go to high school would have the Primary District contract and pay tuition with a city high school. In 1920 the Hartland Area decided to build a modern new high school. In order to do this a larger tax base was needed and the Hartland Consolidated School District was formed. The farmers in the Primary Districts, that chose to disband, voted on whether or not to join the new district. When the farmer joined, all of his land was then taxed by that district. The only rule for joining the new consolidated district was that the farm land had to be contiguous with another farm. As different farmers voted to join, the new boundaries were literally shaped by the property lines of the fields rather than along the roads. In 1921 it became the second district to become consolidated in the state of Michigan. This process took nearly 30 years to complete. In his belief in the need for self-improvement, Crouse established the Hartland Consolidated Schools Foundation Board in 1928. The purpose of the board set down by Crouse was “to promote better living conditions, health measures, educational activities, or for any other purposes that would make for the mental, moral and physical improvement of the inhabitants of the Hartland School District. Money from the Foundation is dispersed yearly through a grant writing process. One of the recipients of grant money each year is the newspaper Community Life. The concept of a paper for the Hartland area grew out of the need for a regular means of communication among the homes in the area. Its creator, J. Robert Crouse, Sr. and his Hartland Area Project first published the paper in 1933. The Director of Continuing Education was responsible for the publication, budget, and made timely reports to the Hartland Area Project. 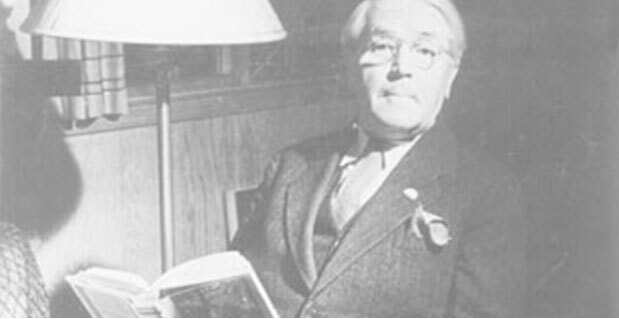 The first editor was Bert J. Ford, manager and Director of the Hartland Area Community Schools. In the 1930s the records indicate that approximately 400 homes were receiving the four-to eight-page newspaper printed from September to June, for a subscription cost of $1.00 per home. Today over 18,000 copies are published and mailed. 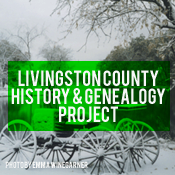 It costs $25 for a subscription if you reside outside Livingston County. Today, Community Life averages 28-32 pages per issue and is mailed out ten times per year. The Community Life newspaper has been funded by the Hartland Area Project since 1933. Through the years, costs have been shared by the Hartland Consolidated Schools, advertisers, donations and subscriptions. For many years the publication and editing of the paper was the responsibility of the Cromaine Library Director. Florence B. Dearing held the position from February 1939 - August 1960. The editorship changed several times over the next decade going back to the schools. In 1971, Cromaine Library assumed responsibility. The last Director to edit Community Life was Sandy Scherba who held the position from September 1975 to July 1996. When the Cromaine (District) Library split from the school district, the job of editing the paper went back to the Community Education department of the Hartland Consolidated Schools. Nadine Cloutier is now the current editor. The paper can boast 85 years of continuous publication. 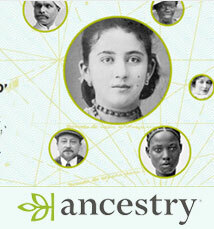 It is a wonderful source of historical information. Current and recent back issues are available online. As we move into the new century it is important to take time to pause, reflect on the past, and take note of the influence one man had on the Hartland community. Although ninety years is but a short time, we can conclude that residents of the Hartland area have received countless benefits from the Hartland Area Project . Many of us may never have stopped to think of them. Through the years we have had many educational, recreational, and cultural opportunities that have enriched the lives of every adult member of this community. In addition, many interesting speakers, courses, library services and musical programs helped to awaken the intellectual and cultural interests of the area. People were afforded the chance to work cooperatively in committees or organizations that enabled them to study special problems or carry out valuable projects, all for the benefit of the Area as a whole. It was noted by Mr. Crouse that his entire Project would look to generations, rather than years for its period of development and operation. He realized that other activities would be developed when the time seemed appropriate. As a result, the community has continued to build collaborations and partnerships among its organizations. Since 2013, two of the community’s institutions – Hartland Township and Hartland Area Chamber of Commerce – have worked regularly to examine the smart development of the community and its reception of new businesses. In 2015, that collaboration was expanded to include two more institutions – Hartland Consolidated Schools and Cromaine Library. Together, these four public service organizations, as Partners in Progress, have continued the ideals of J. Robert Crouse, Sr. for a “friendly association for cooperative service.” Community-wide events, such as Winterfest and the Summer Concert Series plus the community-wide informational website, Hartland Living, are the continued expression of Mr. Crouse’s ideals of cooperation and service. Explore letters, photos, autographs, and artifacts from notable writers, entertained, scientists, political leaders, and public figures. Hartland and the surrounding areas are brimming with exciting history! 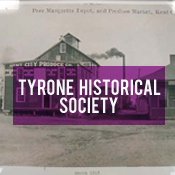 If you're interested in learning more about Michigan history in your community, explore the historical societies below! You can see museum hours, photos, historical maps, and more. Cromaine Library has a variety of book club opportunities to learn more, have fun, and get involved with your fellow neighbors!